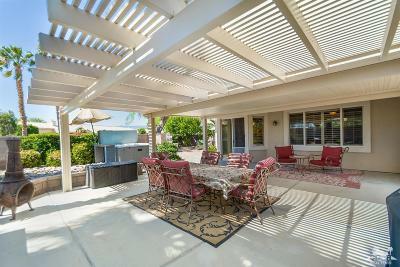 An exceptional 1, 632 SF Cayman plan placed in a beautifully landscaped corner lot. 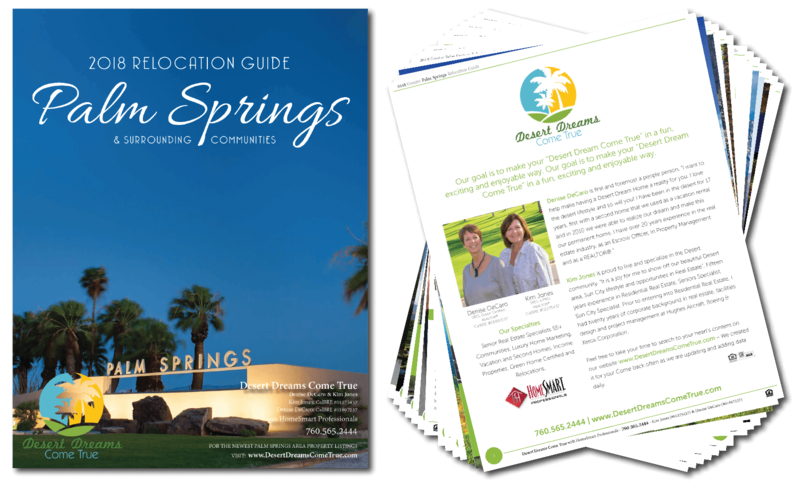 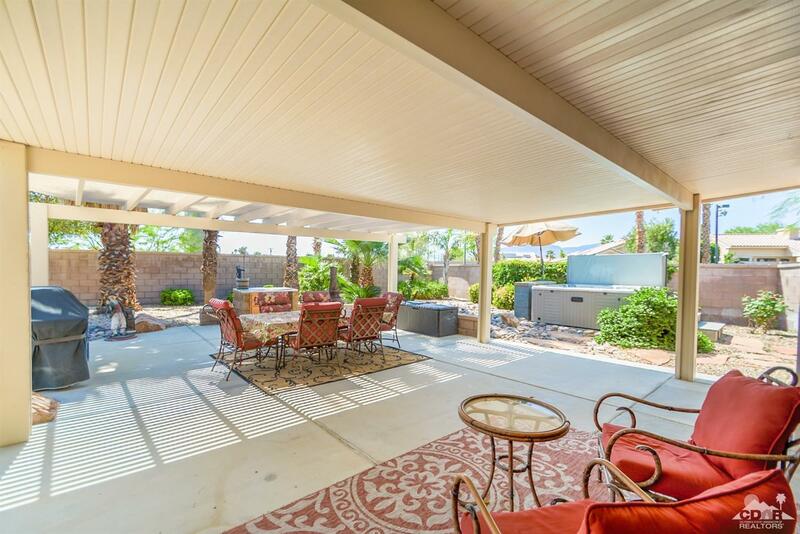 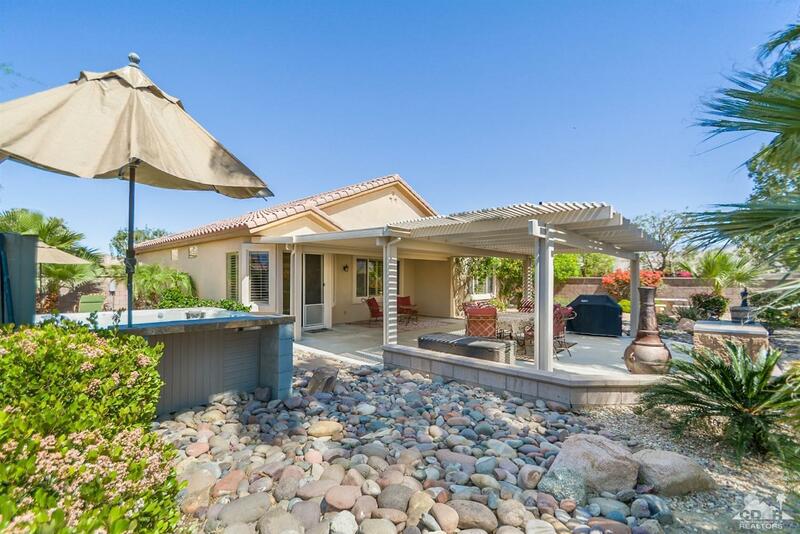 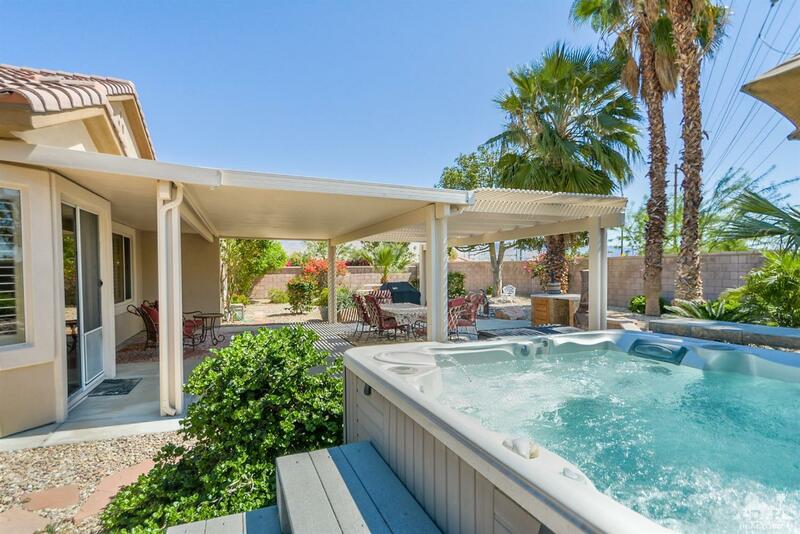 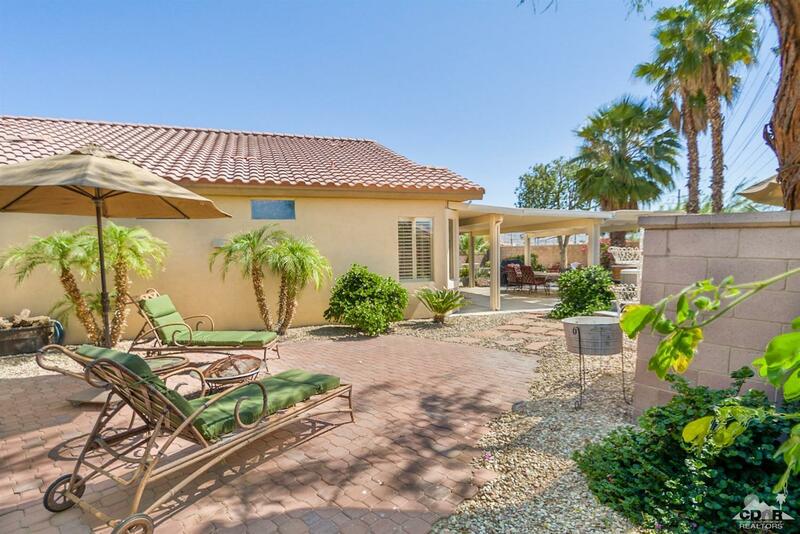 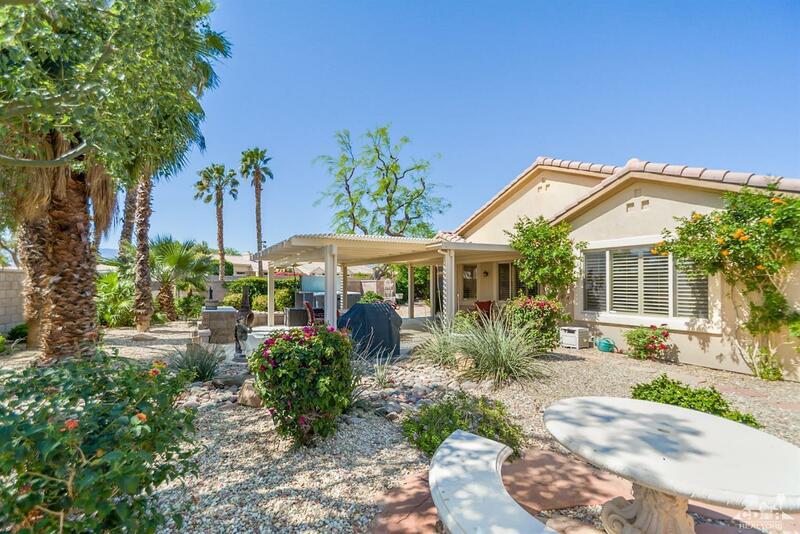 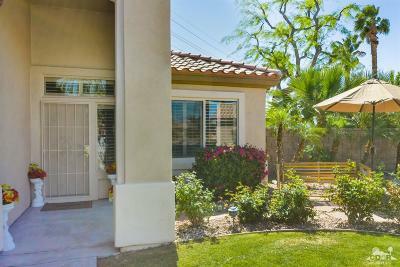 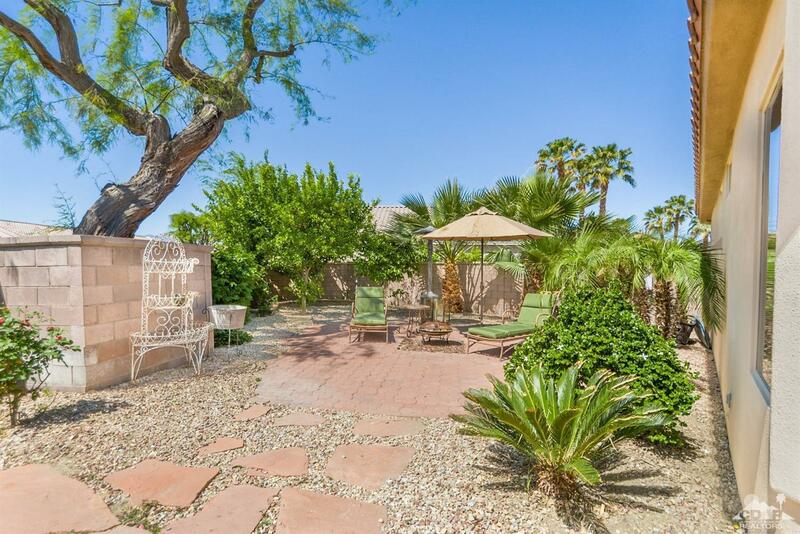 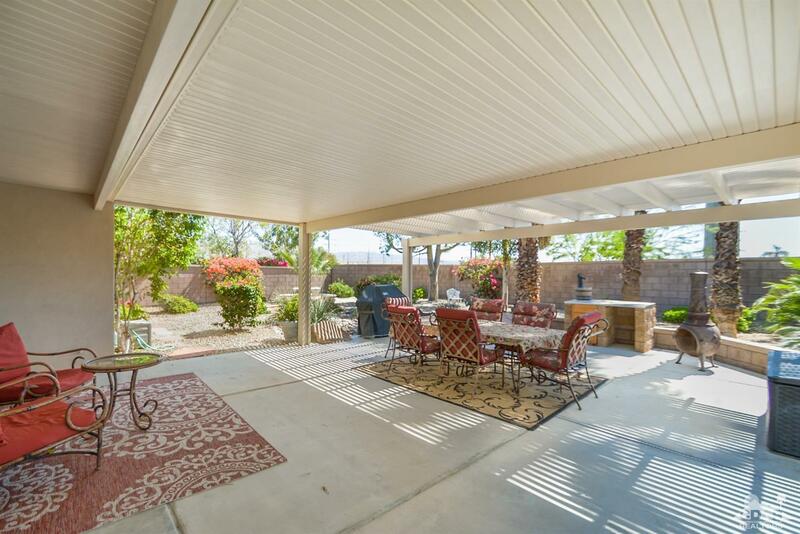 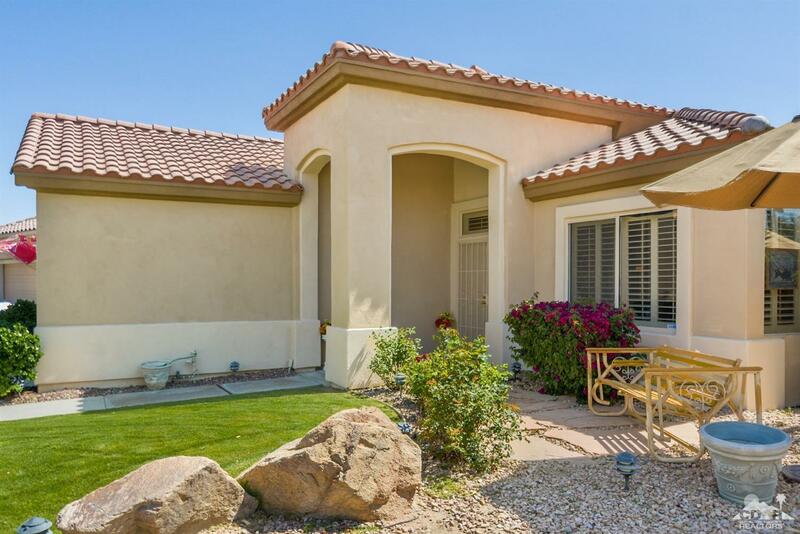 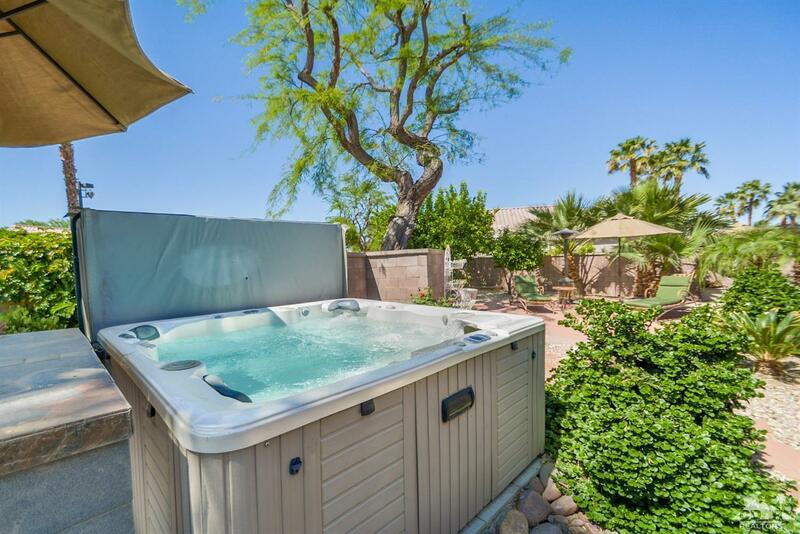 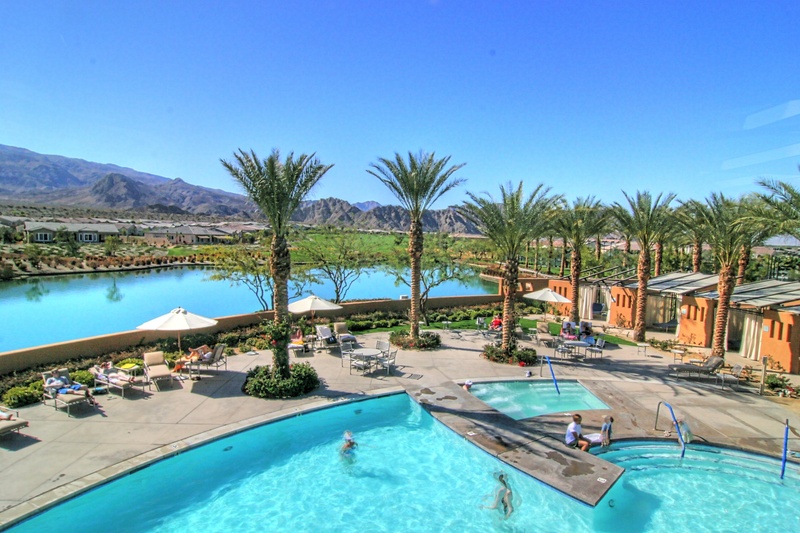 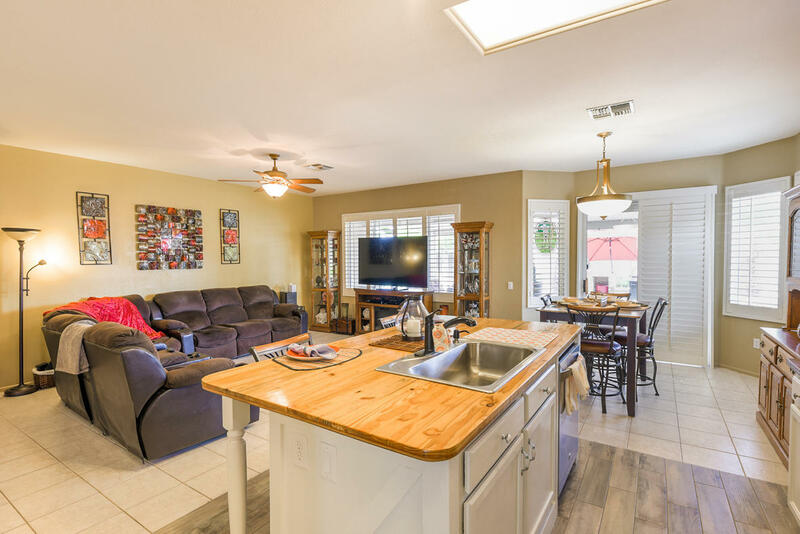 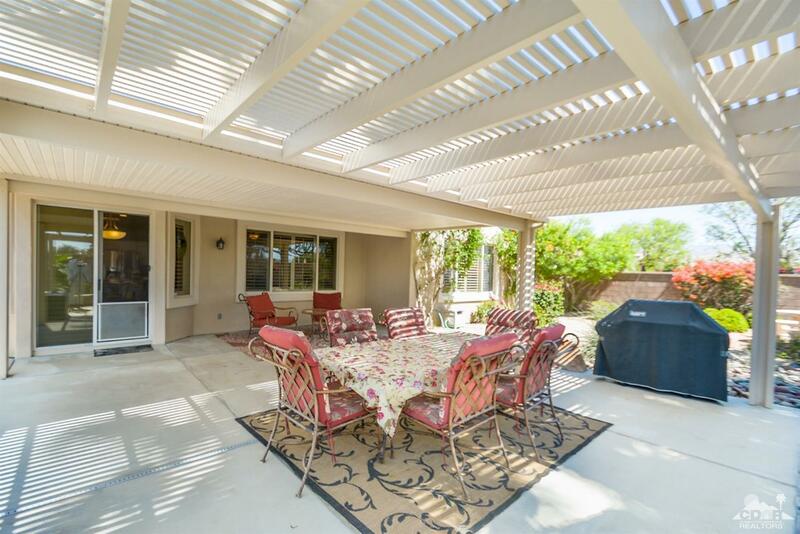 The upgraded patio area is an ideal desert escape with an extended patio, huge patio cover, above ground spa and multiple private locations to relax and enjoy the warm desert air. 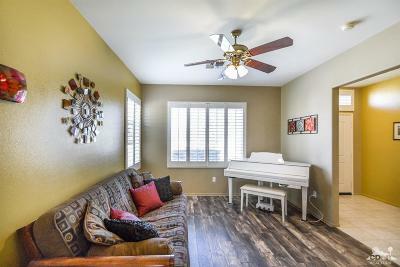 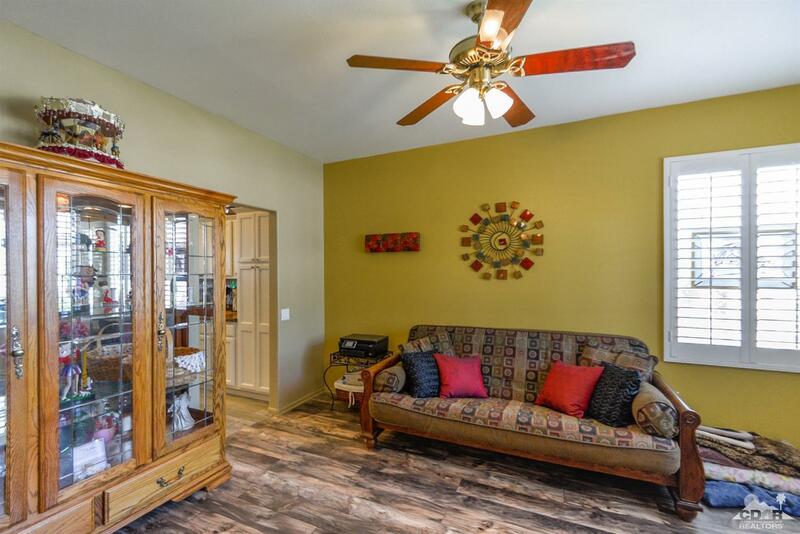 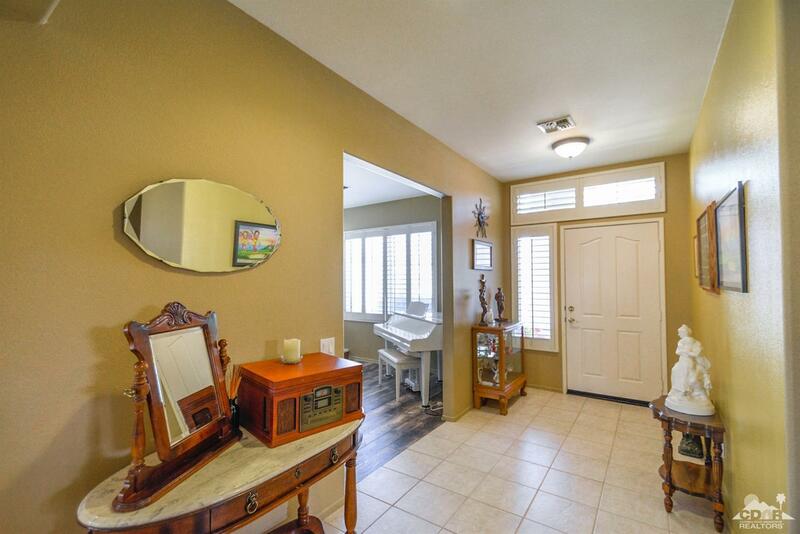 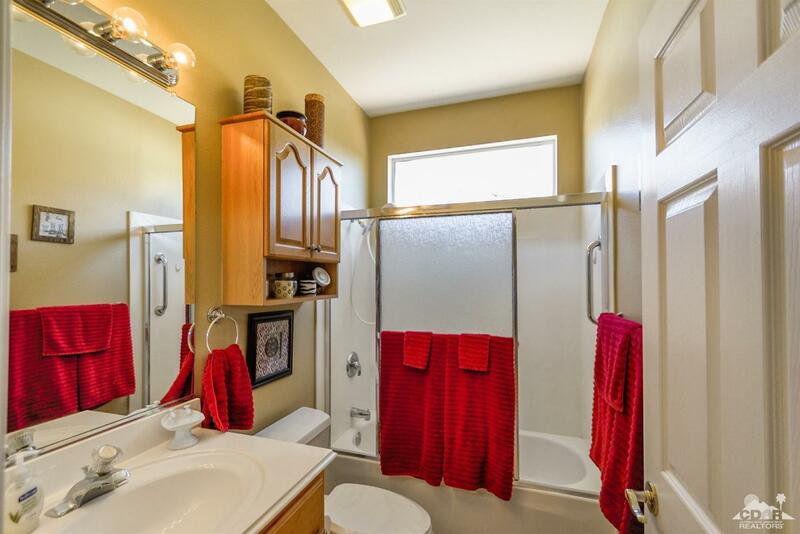 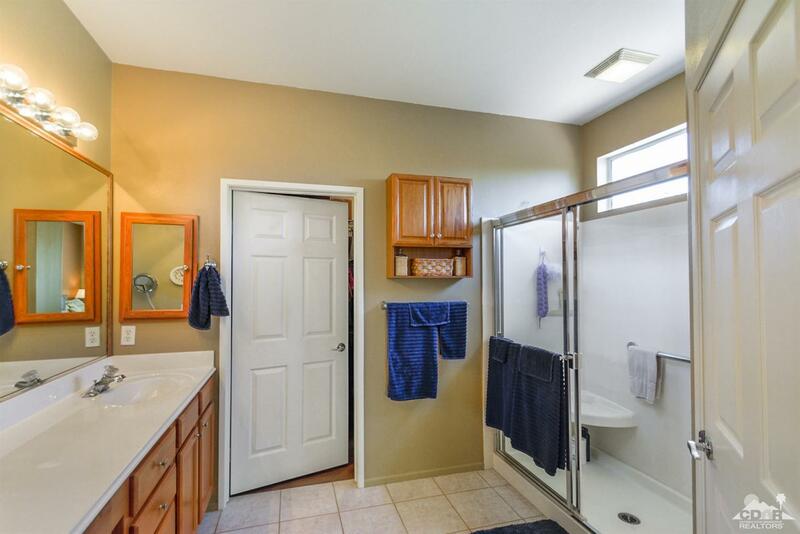 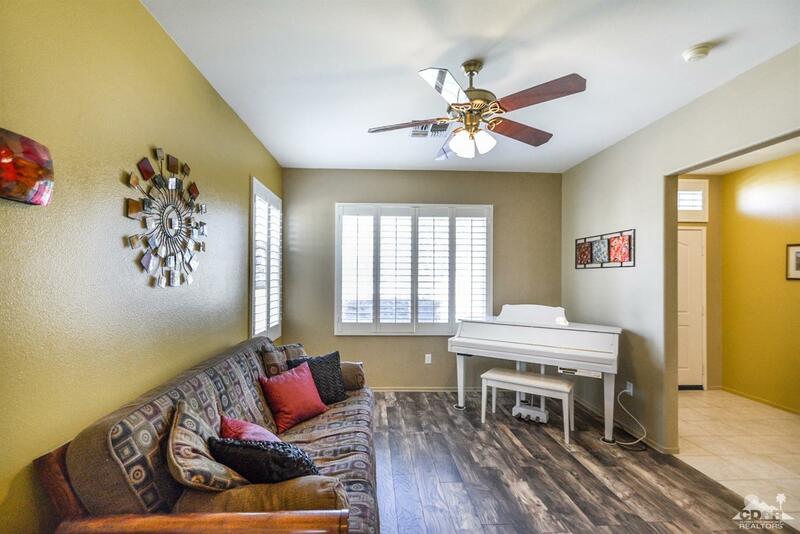 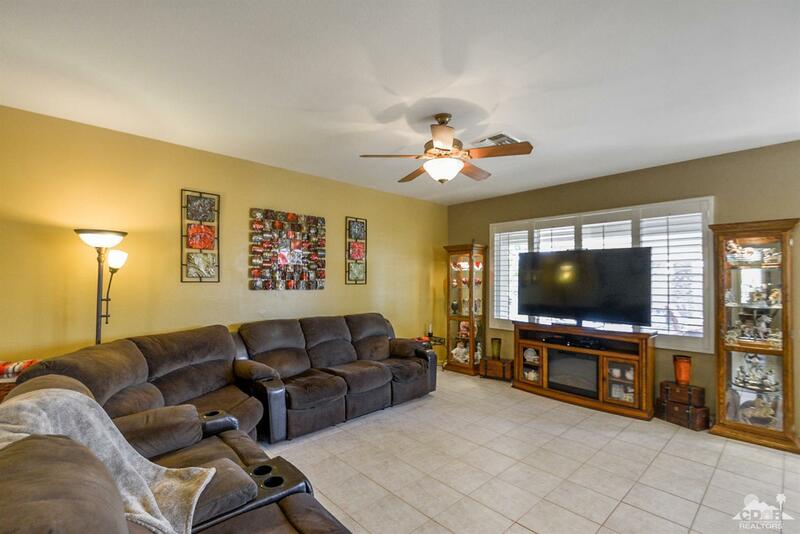 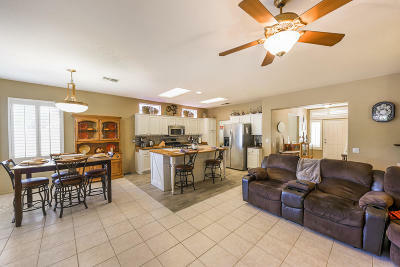 There is tile and manufactured wood flooring throughout the home. 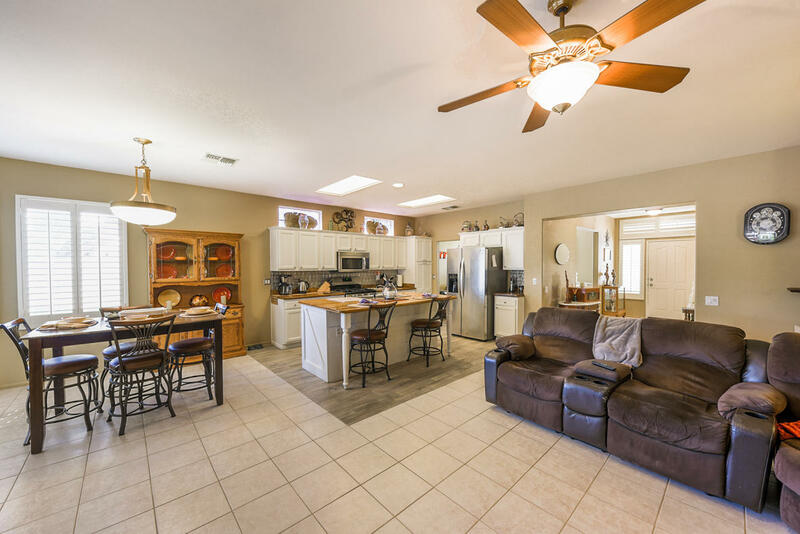 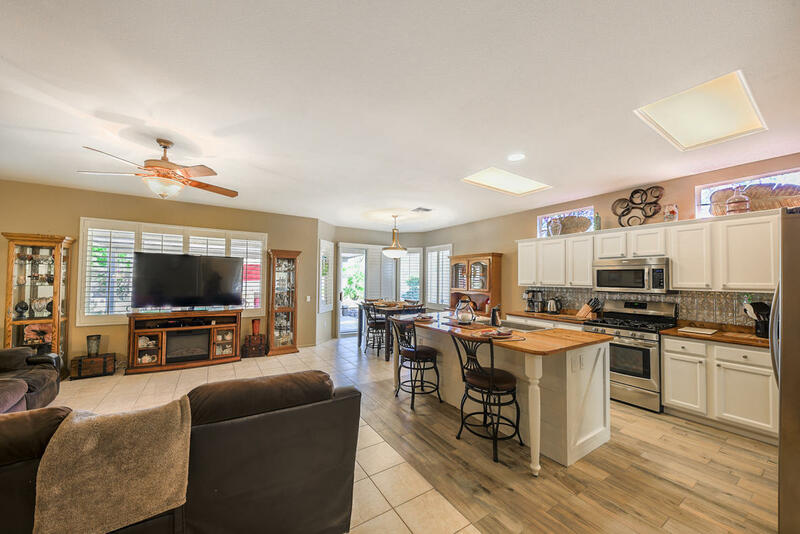 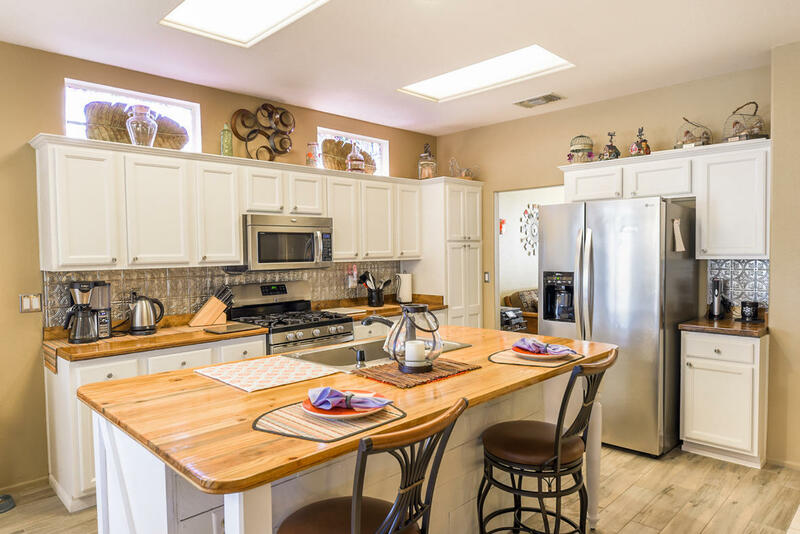 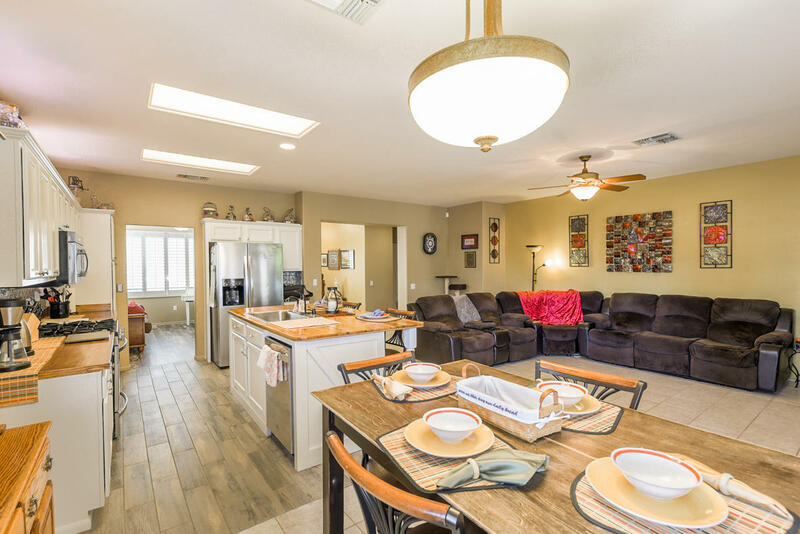 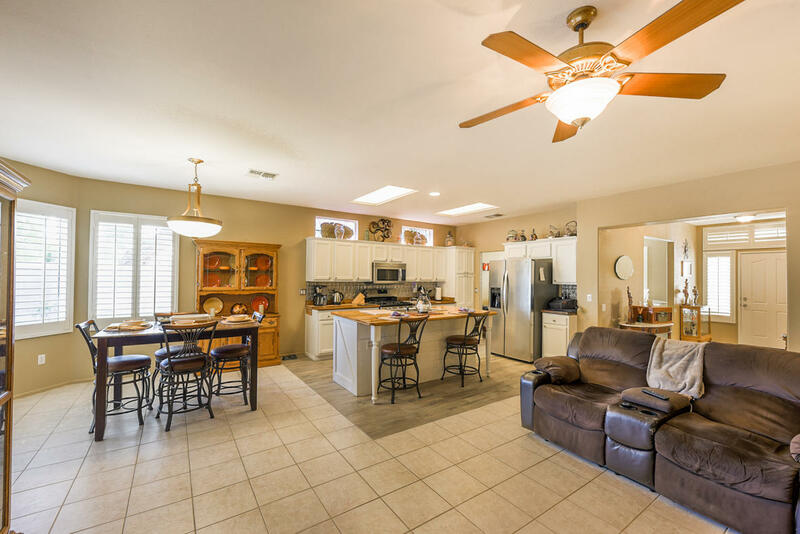 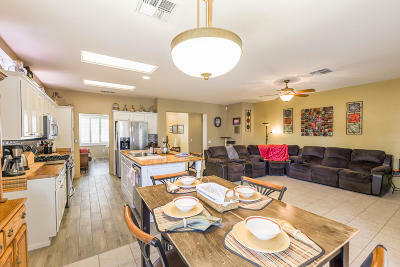 The kitchen is wide open to the great room and has stainless steel appliances, upgraded prep island with a stool height bar and an eat-in nook that is perfect for entertaining. 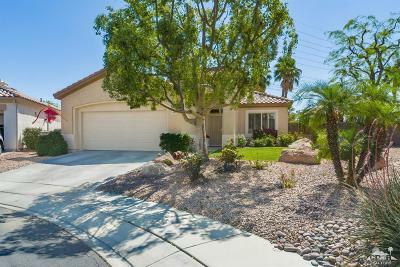 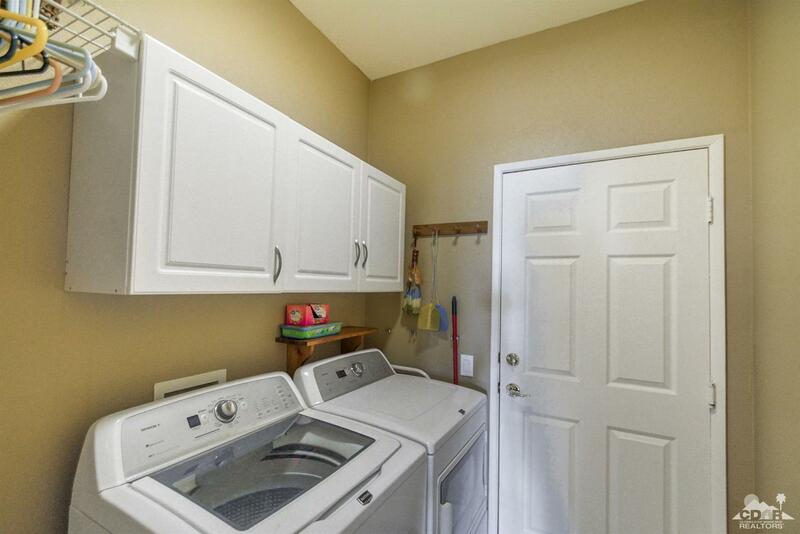 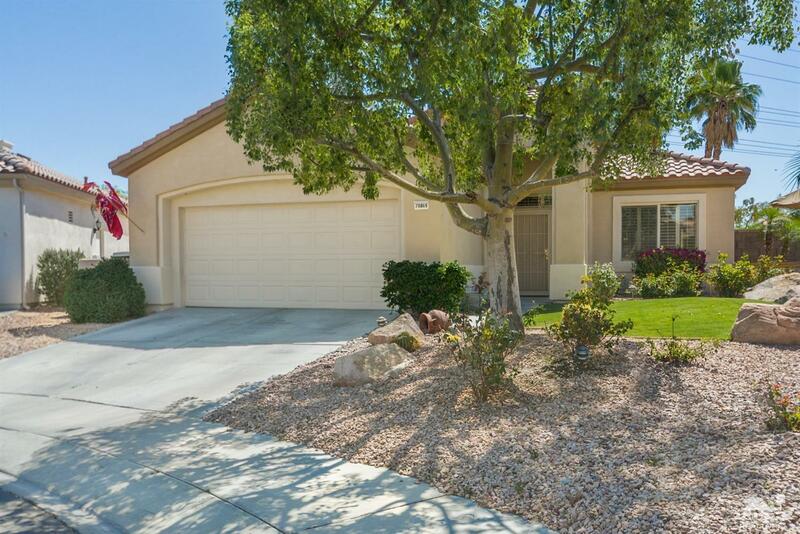 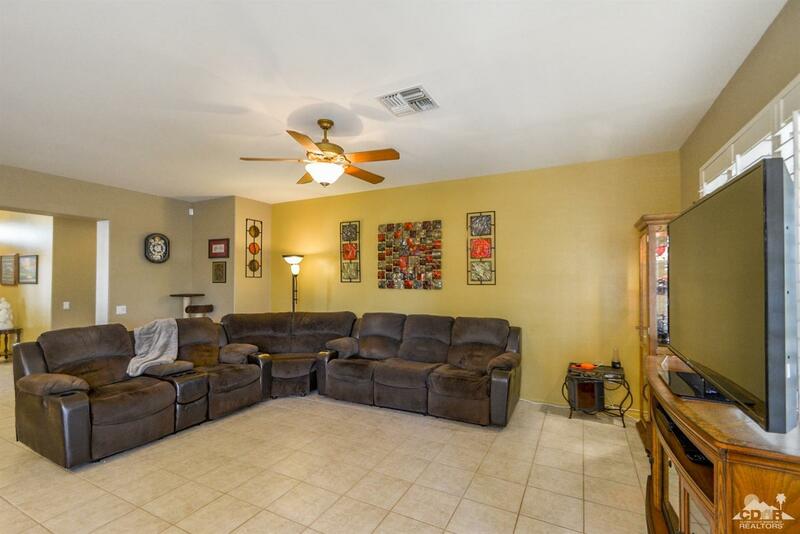 There is a den, 2 baths, a laundry room and a 2 car garage. 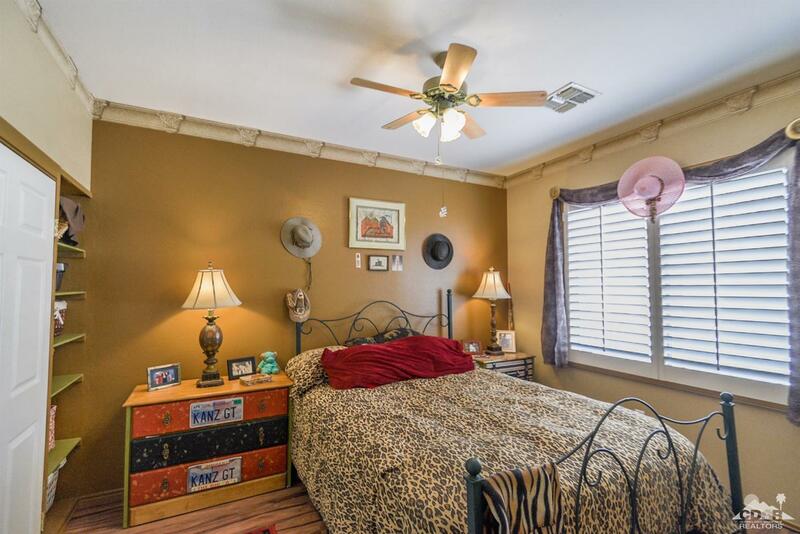 There is plantation shutters on all the windows, designer paint on walls and lighted fans on the ceilings. 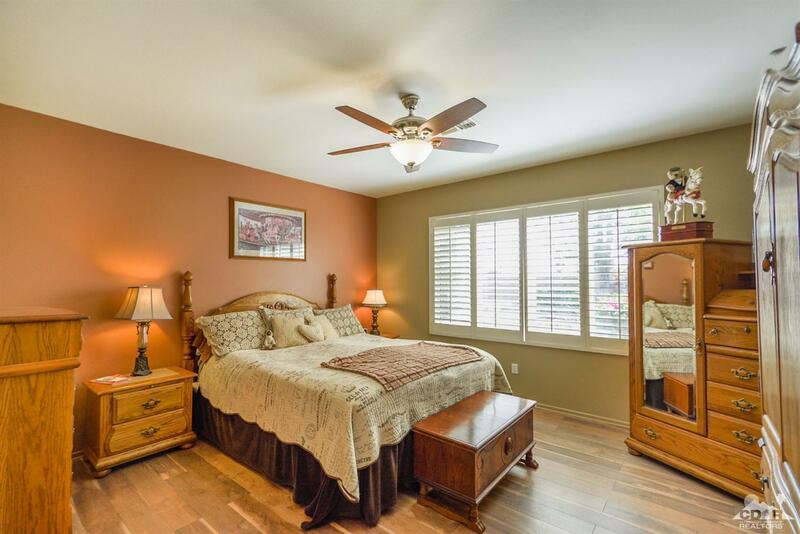 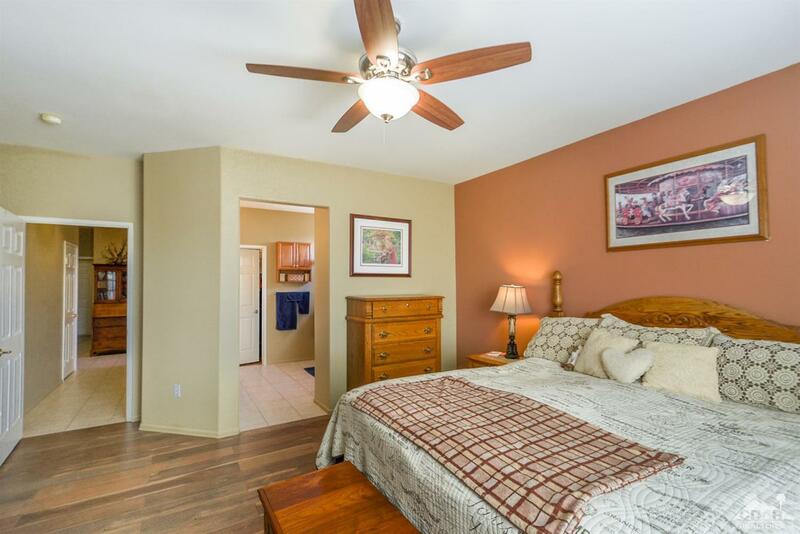 The beautifully upgraded master suite feels like the perfect bed and breakfast suite and has and en-suite bathroom with a step-in shower, dual sinks and a walk in closet. So much more!